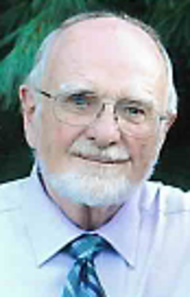 John Franklin Lavelle, of Lancaster, died peacefully on January 20, 2019 at Hospice & Community Care in Mount Joy. He would have been 85 this January. He was born in Minneapolis, MN to the late John Joseph and Evelyn Cartwright Lavelle. He was the loving husband of Margaret Ann Lavelle, sharing 61 years of marriage. John was a scholar, a teacher, a mathematician, a father, grandfather and great grandfather. He received his doctorate in Mathematics with a specialty in algebraic number theory from Penn State University. He pursued his career as a Professor of Math and Computer Science at Millersville University, retiring after 35 years in 1994. He lived and taught for a short period in England as well. John was an avid golfer, bridge and chess player, often going to tournaments. He also enjoyed traveling with his wife to destinations such as Russia and China. John was a member of St. Philip The Apostle Catholic Church. Surviving, in addition to his wife, is a daughter, Julie A. married to Jerry M. Miller, and a son, Gregory H. married to Athena C. Lavelle. He has three grandchildren: Kurtis M. Miller married to Izabela, Kristin Miller Biagio married to Nicholas Biagio, and Madeline G. Lavelle, and 2 great grandchildren Gabriel Miller and Brynna Biagio. He was preceded in death by his son, John Arthur Lavelle and his brother, George Cartwright Lavelle. Friends will be received at St. Philip The Apostle Catholic Church, 2111 Millersville Pike, Lancaster, PA on Friday, January 25, 2019 from 10-11AM, with the Mass to follow at 11AM. Interment in Millersville Mennonite Cemetery. In lieu of flowers, please make contributions in John’s memory to Hospice & Community Care, 685 Good Drive, Box 4125, Lancaster, PA 17604-4125.
grade school, then high school and later at St. John’s, where I ran out of money! After a brief work spell at the Great Northern Depot, loading mail sacks on trains, the Korea War was on, so I walked over to the Armory, volunteered for the draft, hoping the GI Bill would help pay for my schooling (assuming I survived and made it back home). The rest is history. I was flown to Camp Roberts, CA, in the heart of the San Jaochim Valley, half way between ‘Frisco & LA. After four months basic, I came back to MinneSNOWta, got married, then drove back to CA for Leadership School. Graduating after a few months, I drove Donna home to Lincoln, NE, where her folks had moved while we were in CA. Then I got a free hop on a B-25 bomber back to ‘Frisco, reporting to Camp Stoneman for shipment to Korea. On and on the story goes, so I’ll save some for another time. taking the time to tell me the sad news. I will always be grateful! God bless you and keep you in His care always! Goodbye old friend, be at peace with God! We met at the Lancaster Chess Club way back in the1960s, had many a good cigar and glass of porter together as we tried mayhem on each other over a chess board. Social gatherings with friends and families where arguments could be about politics, philosophy, baseball or anything in between. Often loud but always good natured. Thanks for the memories, you helped to make the world a more pleasant place. Midge and family we grieve too, you are in our prayers. I had Dr. Lavelle at Millersville University and he was my favorite professor.